The P.G. department of statistics was established in the year 1955 as a part of school of social sciences and was merged with school of sciences in the year 1963. Statistics was offered as a subject in option to Electricity and magnetism at UG level in the faculties of Arts and Science until 1961. Teaching of statistics as a main subject was introduced at UG & PG level in 1962 in its affiliated colleges. PG courses in statistics for M.Com. are offered by the School of Commerce. 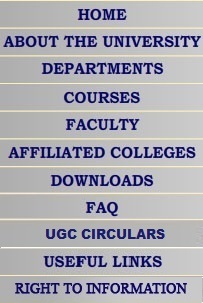 In addition to PG courses the PG department offers courses leading to M. Phil. and Ph.D. degrees. The major thrust areas in which research is carried out are multivariate analysis, statistical inference, O.R, SQC, Econometrics, Quantitative Methods, Distribution Theory, Life testing and reliability and Robustness. The large number of research papers have been published in reputed journals in India and abroad. The department is identified by the UGC under Departmental Research Support and COSIST programs. The department was selected as centre by the UGC for curriculum Development with late- professor C. G. Khatri as its co-ordinator in 1980 for modernizing and updating syllabus in statistics at different levels in order to cater to the needs of other disciplines. The students offering for M.Sc. Ph.D program are generally career oriented. Statistics is useful in Government offices, Industries, Research Institutions, Business houses, Bank etc. There is a wide spectrum of application at many places. The topic like sampling methods for survey are useful in quality management for Industries. Due to the recent development for ISO 9000 series and the progress of Taguchie Techniques, applications of statistics have become very relevant. Moreover, econometric methods, design of experiment, time series analysis have ample scope for their practical use. With the growth of BBA, BCA, MBA, CA, MCA, CS, the usefulness of subject is increased tremendously. Hence, the programs are career oriented. Statistical tools and techniques have their own importance in day to day life and various disciplines. It has wider horizons for its applications and the progress achieved in the theoretical development of the subject increases the responsibilities of the practitioners. The relevant practical problems on the other hand generate more creative ideas for a research-worker. This has an advantage over all the applications concerned in different fields and thus the growth of the subject goes on increasing day by day. The faculty of the department has produced a steady output of research papers which would be too many to be listed. Faculty members here authored and co-authored several text-books in statistics and published by well known publishers including the Gujarat Granth Nirman Board and Gujarat Text-book Production Board. i) UGC established curriculum development centre (CDC) in the department and a CDC report was prepared for restructuring the curriculum at U.G., PG AND M.Phil levels in the subject. ii) UGC selected the department as one of the Centre in the country to organize Refresher courses in Statistics. The department has organized 17 Refresher Courses. iii) Department was also associated for about 10 orientation courses run by Academic Staff college. These were for the benefit of college and university teachers in the country. iv) Faculty members were associated as authors in writing Std. XI and Std. XII textbooks of Gujarat State Text Book Production Board. v) Faculty members have also worked as co-authors for writing text books on behalf of Granth Nirman Board, Gujarat Granth Ratna Prakashan, Ambedkar Open University etc. vi) Department is very actively involved in the publication of two journals published on behalf of Gujarat Statistical Association. vii) Department had arranged one national level seminar on Inventory management during March 2000. This was partially supported by UGC funds through Gujarat University. Many research papers were presented and distinguished persons had delivered their lectures. viii) Department has the activity named as �SANKHYADEEP�. It is a short of academic, social and cultural forum run by the students under the guidance of faculty for the benefit of the students. (a) Since last two years 22 students have completed their M.Phil and 04 students have been awarded Ph.D. degree. (b) Since last two years the department has organised 16th&17th Refresher Courses in Statistics for teachers of Western, Central and Northern Regions of the country. (d) Professor J.J.Chinoy lecture series was conducted buy department of statistics from 19th Feb. 2004 to 25th Feb. 2004. Eminent Statistician Dr. Pradeep Banerjee from U.S.A. and Dr. Jahar Saha - Formar Director I.I.M. had delivered the lectures. Professor T.K.Gajjar lecture series was conducted by department of statistics in March 2004. Eminent Statistician Dr. R.T.Ratani from South Gujarat University gave the lectures. 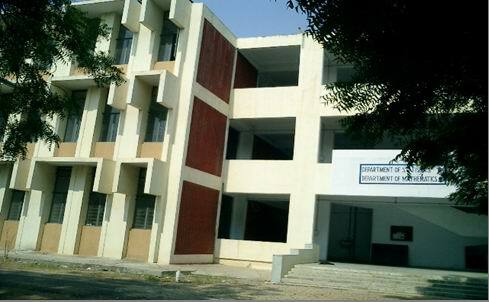 (e) Department of Statistics is one of the oldest department of Gujarat University which was established in 1955. On the occasion of the completion of fifty years, GOLDEN JUBLIEE CELEBRATION PROGRAMME was organised by the department. This programme took place on Saturday 28th January 2006 at Gujarat university Sanate Hall. Shri P.K.Laheri, Chairman and Managing Director of Sardar Sarovar Narmada Nigam Ltd. had inaugurated and presided over the function. Prof. A.U.Patel, Vice Chancellor of Gujarat University was the Chief Guest of the function. Prof P.C.Vaidya Formar Vice Chancellor of Gujarat University was Distinguished Guest. Shri Pravin Chhajed Past International Director, Lions Club International & Leading Businessman was the Guest of Honour. The Heads of the different departments from Gujarat University and Heads of Statistics Department from other Universities were present on this occasion. Invited talks were presented by eminent statisticians of India. The department appreciated the services of former teachers of the department who served the department for several years and department also appreciated former students of department who occupied important positions. Course Name : M.Sc., M.Phil, Ph.D.
*At the time of admission in M. Sc. Part-1 55 (Year 2004-05). ** One year for course work and there-after, dissertation is to be prepared and submitted under the guidance of the department faculty. *** 04 + 06 (06 students are old students) year 2004-2005. 05 + 06 (06 students are old students) year 2005-2006. Science is developing at an explosive rate and Statistics as key technology of the modern science has become more important and relevant as a discipline applicable to several other branches of knowledge. Statistical theory and methodology have applications in almost all areas of sciences, It therefore goes without saying that the impact of recent growth of statistics has been widely felt in all fields of natural, physical & behavioral sciences. Statistics has thus become a vital tool without which it is perhaps not possible to appreciate, understand and apply much of the work done in any field. The Past Students of the Department have excelled in academics, Government and Semi-government organisation, Pharma companies, life insurance companies as well as business.